Aquatrol was founded in 1947 by Lyman J Lowden, who owned an engineering firm specializing in the development of municipal power, steamand water filtration systems. During LJ's tenure he discovered a need within the safety and relief valve markets and founded our company. Aquatrol quickly became a recognized brand, focused on producing ASME regulated bronze safety and relief valves, servicing theOEM and quality drivenmarketplace. Aquatrol manufactures ASME regulated, national Board Certified Safety valves. 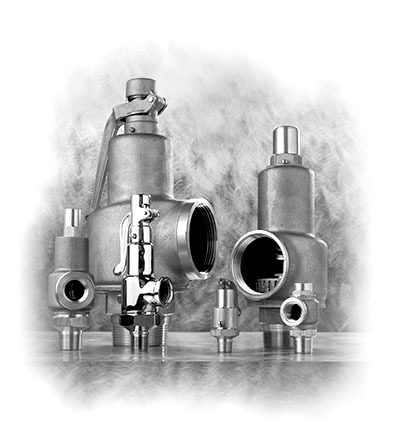 Section I (V) and VIII (UV) rated for steam, air and gas applications, as well as a full line of liquid relief valves. Valves are interchangeable with all safety valve manufacturers and available with the full array of trimming, seating and options. All of our products go through rigid quality control: we set, test and re-test to each customized application prior to the code stamping process. Aquatrol will soon be celebrating our 70th year of manufacturing ASME/NB safety valves. We strive to continue our legacy of producing high-quality valves backed by excellent customer service. All Aquatrol valves can be custom set from inventory on an as-needed basis. Please go to our Products page to learn more about our offerings or to our Ordering page to purchase. Thank you for choosing Aquatrol for your relief and safety valve needs.